Home > News > Server Selection starts November 19th! Im confused I did all of this long ago but in the current event I dont have any "stash"
Did you check this page for your supplies? This is where all the action happens, whether it is raiding, trading coins, or spying. Posted By **CrimsonMyst** at 9:30 PM - Tue Dec 18 2018 > > Im confused I did all of this long ago but in the current event I dont have any "stash" Did you check **[this page](https://chroniclesofelyria.com/lost-vault)** for your supplies? This is where all the action happens, whether it is raiding, trading coins, or spying. What is “map 7” for ? Is that just the islands that will be littered around each servers main continent ? Map 7 is for the OCE server. SBS generated archipelago maps for them because they currently have a smaller community. Posted By **Grapefruitkush** at 04:34 AM - Thu Nov 29 2018 > > What is “map 7” for ? Is that just the islands that will be littered around each servers main continent ? Map 7 is for the OCE server. SBS generated archipelago maps for them because they currently have a smaller community. Alright, let's do this, ladies and gentlemen ! Did the server select get uploaded so we can chose? I am on my mobile and don't see where I can select it ... am I doing something wrong ? The Account Management page can be a little wonky on mobile sometimes but I think it was there when I looked earlier. 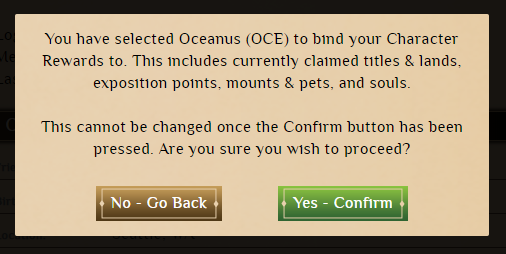 Just look around for the blue "Select Server" button. It may not be exactly where it's shown in Serp's instructions. Posted By **ShadeSlayer2485** at 8:53 PM - Tue Nov 20 2018 > > Did the server select get uploaded so we can chose? I am on my mobile and don't see where I can select it ... am I doing something wrong ? The Account Management page can be a little wonky on mobile sometimes but I think it was there when I looked earlier. Just look around for the blue "Select Server" button. It may not be exactly where it's shown in Serp's instructions. 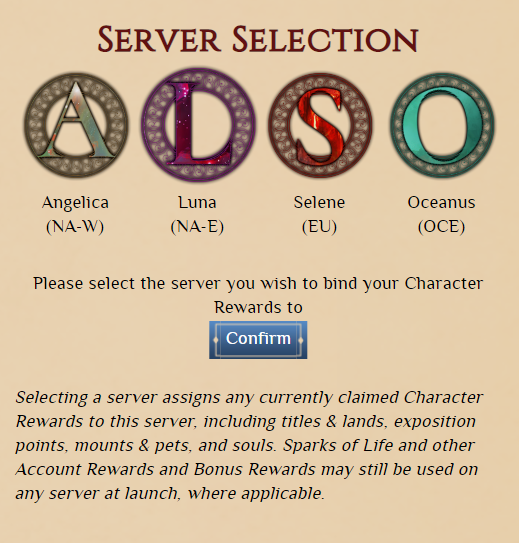 Are you planning on making the server selection visible in the forum (for example like the avatar and rank)? It could be a voluntary flag that we could toggle in our account settings. 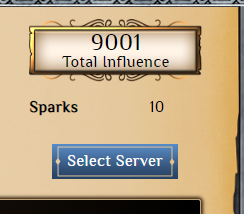 Serp casually flashing his over 9k influence. I change from east to west coast once in a while, so I do hope there are no lag issues from one side to the other, will be very dissapointing if it's very noticeable. It's still Monday the 19th they didn't give a time, so they aren't late. Posted By **RemyM** at 12:03 PM - Mon Nov 19 2018 > > Late again ??? It's still Monday the 19th they didn't give a time, so they aren't late. Actually its already set up i just selected my server about 5 min ago. Posted By **LegendOfStein** at 2:07 PM - Mon Nov 19 2018 > > Posted By **RemyM** at 12:03 PM - Mon Nov 19 2018 > > > > > Late again ??? > > It's still Monday the 19th they didn't give a time, so they aren't late. Actually its already set up i just selected my server about 5 min ago. What time dose this server selection start. Since the Searing Plague my hype get's stronger again every day. Damnnnnnnn....looking forward to the doman/settlement selectio. Nice !!! Been waiting for so long. One step closer to alpha!! So i wonder what pledge packages get access to jump in next week. So i wonder what pledge packages get access to jump in next week. Excited. Anyone can jump in to server selection. You don't need a pledge for that. I've jumped onto my Selene selection now. Posted By **Watru** at 7:52 PM - Sun Nov 18 2018 > > So i wonder what pledge packages get access to jump in next week. > > Excited. Anyone can jump in to server selection. You don't need a pledge for that. I've jumped onto my Selene selection now. I can confirm this. Don't currently have a package but I have selected my server. Posted By **Mistoy** at 12:04 PM - Fri Nov 23 2018 > > Posted By **Watru** at 7:52 PM - Sun Nov 18 2018 > > > > > So i wonder what pledge packages get access to jump in next week. > > > > Excited. > > Anyone can jump in to server selection. You don't need a pledge for that. I've jumped onto my Selene selection now. I can confirm this. Don't currently have a package but I have selected my server. It's happening. It's happening. So excited!!! This is so exciting! I am looking forward to more popcorn! Whooooo finally can pick my domain!!! I always figured D&SS would happen after alpha/prologue so we can see some of the playstyles and areas before picking one, but I already know where I'll end up so I'm fine with it being sooner. Posted By **Labbe** at 11:47 PM - Sat Nov 17 2018 > > Posted By **Cuddles** at 9:44 PM - Sat Nov 17 2018 > > > > > Whooooo finally can pick my domain!!! > > Just for the purpose of clarification. This is only Server Selection. 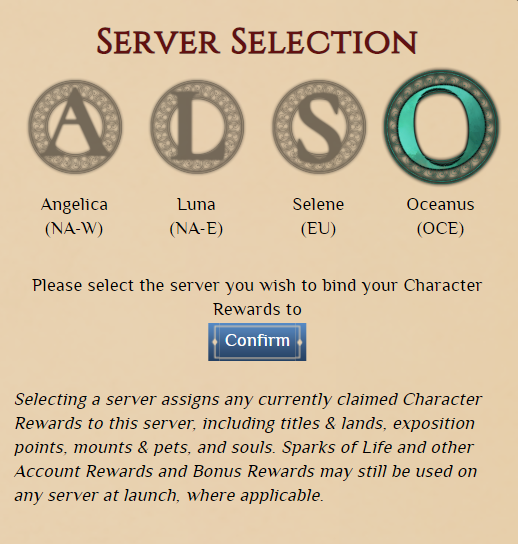 **Not Domain and Settlement Selection,** > > Although with Server Selection happening finally, D&SS might be right around the corner I always figured D&SS would happen after alpha/prologue so we can see some of the playstyles and areas before picking one, but I already know where I'll end up so I'm fine with it being sooner. So excited for this next step! This has been a fun and interesting process so far and I'm excited to see how everything turns out! Awesome job guys you seem to be rockin and rolling with this sprint! I really appreciate the level of involvement you are giving to the players/supporters. It's really great to really be apart of what is being built and knowing I am ( all of us) get to have a chance to voice content that is being created! Keep up the great work! I've got a few questions regarding this: Posted By **Serpentius** at > (...)risk being placed at the back of the line(...) > (...)Player Benefits: (...)You gain the ability to participate in future events that require you to be locked to a server(...) If one doesn't lock in the server before an event, can one not participate, or can one lock in during an event and still be granted access (in other words, is there a 'back log', like mentioned with the nobility? 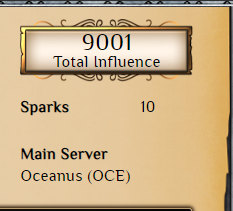 Posted By **Serpentius** at > (...)soul packs, will all bind to your server(...) Does that include the '$300k: Soul Pack - Get an extra set of 3 random souls to choose from for your starting character'-Kickstarterversary reward? And if one uses a soulpack later on, can all the three souls in that be only used on a specific server, or can they be 'split' across servers? Very exciting news! Actual progress I can feel! Thank you! good job SBS keep up the great work guys. Will server-forum access be modified in any way by locking? I wonder when we will find out how many people are locked into a particular server, obviously after they allow server locking, but would it be before land selection? 2018 has been a really good year for SBS and so far they are finishing very strong. Super excited for this studio. I think this information would be used for back end data and not really public. 2018 has been a really good year for SBS and so far they are finishing very strong. Super excited for this studio. Posted By **Thing13623** at 5:48 PM - Fri Nov 16 2018 > > I wonder when we will find out how many people are locked into a particular server, obviously after they allow server locking, but would it be before land selection? I think this information would be used for back end data and not really public. Map selection... server selection.. then account creation... followed by kickstarter backing. There is a.6.5% chance to be released before 2077. Horrible scenario! Map selection... server selection.. then account creation... followed by kickstarter backing. There is a.6.5% chance to be released before 2077. Horrible scenario! You’re referring to the game Cyberpunk 2077, correct? It probably will launch before COE’s official launch. But I think we will see CoE alpha before Cyberpunk 2077 is released. I am super excited for both games, so my gaming spirit for the future is high. That is what you’re referring to, right? Otherwise your comment doesn’t make sense as the funding and technology CoE is being built on would expire over the next ~60 years... so, you must have forgot to mention the Cyberpunk part of the title! cheers mate! Posted By **MagistrateMondra** at 4:52 PM - Fri Nov 16 2018 > > Map selection... server selection.. then account creation... followed by kickstarter backing. > > > There is a.6.5% chance to be released before 2077. Horrible scenario! You’re referring to the game Cyberpunk 2077, correct? It probably will launch before COE’s official launch. But I think we will see CoE alpha before Cyberpunk 2077 is released. I am super excited for both games, so my gaming spirit for the future is high. That is what you’re referring to, right? Otherwise your comment doesn’t make sense as the funding and technology CoE is being built on would expire over the next ~60 years... so, you must have forgot to mention the Cyberpunk part of the title! cheers mate! SBS refuses to give refunds... They are focused on money nothing else... Open your eyes! Posted By **Augustus_Aquila** at 09:49 AM - Sat Nov 17 2018 > > Posted By **MagistrateMondra** at 12:52 AM - Sat Nov 17 2018 > > > > > Map selection... server selection.. then account creation... followed by kickstarter backing. > > > > > > There is a.6.5% chance to be released before 2077. Horrible scenario! > > Don't mind him, he is a Coe hater... I told him to ask refund and move on or to donate his title. He hate us all and he loves to spread negativity..... SBS refuses to give refunds... They are focused on money nothing else... Open your eyes! That's a little extreme. I'd rather them to everything right and not rush the game and release a piece of crap game like certain companies do for money. I really don't see anything later than 2021 or 2022. Posted By **MagistrateMondra** at 2:52 PM - Fri Nov 16 2018 > > Map selection... server selection.. then account creation... followed by kickstarter backing. > > > There is a.6.5% chance to be released before 2077. Horrible scenario! That's a little extreme. I'd rather them to everything right and not rush the game and release a piece of crap game like certain companies do for money. I really don't see anything later than 2021 or 2022. Someone needs a nap coz they are awfully cranky!! Now stop that pouting and go to sleep or you can go to your room for a timeout!! Posted By **MagistrateMondra** at 08:52 AM - Sat Nov 17 2018 > > Map selection... server selection.. then account creation... followed by kickstarter backing. > > > There is a.6.5% chance to be released before 2077. Horrible scenario! Someone needs a nap coz they are awfully cranky!! Now stop that pouting and go to sleep or you can go to your room for a timeout!! So exciting! Looking forward to server selection. Cool stuff yes . I hope we getting details about round 2 votes, after all CASPIAN like transparency. "Promotion, players will have the chance to declare their sandbox and jump in!" Jump in do that mean? Posted By **Scuttle** at 1:58 PM - Fri Nov 16 2018 > > Might wanna correct the typo in the screenshot. Should be "server selection" unless we are selecting whose heads we are severing! Yup, we're on it ;) Thanks! awesome stuff, as always, great work SBS. MANY HANDS MAKE LIGHT WORK.